Ø The logo includes very small fonts of Chinese and English Characters. Ø The logo is of fully-filled and the pattern inside is close to each other. Ø General suggestions are that English letters and Chinese characters should be at least with height 3mm and 5 mm respectively. The logo should not be fully packed with detail and complicated patterns. 2. Silk Screen Print exhibits the logo in SOLID (實色) color form. Therefore, it is hard to apply screen print for logos which have gradient and shadow effect (e.g. like photo quality). If customers would like to achieve multi-colored logo with photo-quality effect. Digital printing or heat transfer printing should be applied. 3. Individual print FILM and FRAME must be issued for each silk screen print color. Therefore, price will increase in proportion to the number of colors in the logo. 4. In general, water-based screen print (水漿絲印)should be applied for white and light color fabric. While oil-based screen print (膠漿絲印) should be applied for black and dark color fabric. Ø Diffusion effect is considerably more obvious, and the paint will extend to areas where it is not supposed to have the logo design or overlap with other patterns inside the logo (e.g. the logo is with a complete pattern but with many small areas inside the logo which show the fabric as ground color, then such diffusion effect may fully fill up such small areas which resulted that the entire logo is blur.). Ø Also, when the logo is printed and at the time the paint is still wet, there is possible that dust in the air may fall into the logo area and being trapped in the logo, thus result in some dusty & hairy effect on the logo. 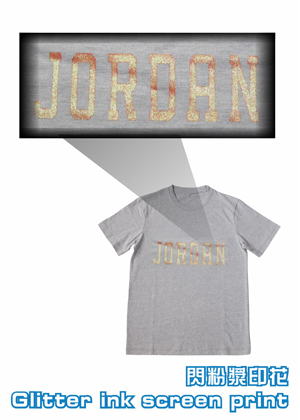 Ø Oil-based screen print exhibits a layer of plastic-like coating on top of the fabric surface. This layer of coating has potential to have small cracks and color fading after repeated washing; this is due to the physical limitations by the nature of the product. Ø Water-based paint will be directly absorbed by the fabric, thus colorfastness is better. However, the garment will become washed out after repeated usage and washing. Therefore, the logo colors will also fade as time goes by. Ø Logo color is matte when compare with gold or silver foil print, but colorfastness is better. Ø Applied to the garment fabric panel by heat with a kind of gold / silver foil material, the limitations are that it is possible that the logo may slightly peel off and become duller after washing. The situation could be minimized by turn inside out and use cold water in washing. 1. If the logo design is complicated and detailed, especially when some scattered small patterns are involved. AI format file is needed to directly export the print film. In order to ensure that the logo design is correct, pls. at the same time provide the jpg format for our reference. 2. If the logo is with simpler design, PDF and PSD format are acceptable, these two formats will not have blurring edges after magnification and thus the logo can be outlined more precisely. JPG format is also acceptable, but large resolution. 3. Hand drawings are of inaccurate outlines, therefore, it is generally not accepted as the sketchy may lead to inaccurate outlining of the logo during print film making. 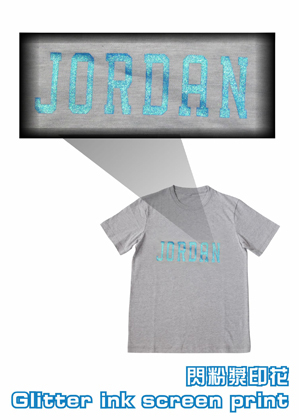 Uniform-standard is a Professional t-shirt maker.Our company do all kinds of tee for logo,For example:class tee shirt online logo design ,custom tee ,tshirts logo screen printing ect.Wecomle you at our office to know more details inofrmation for t shirts and our company.